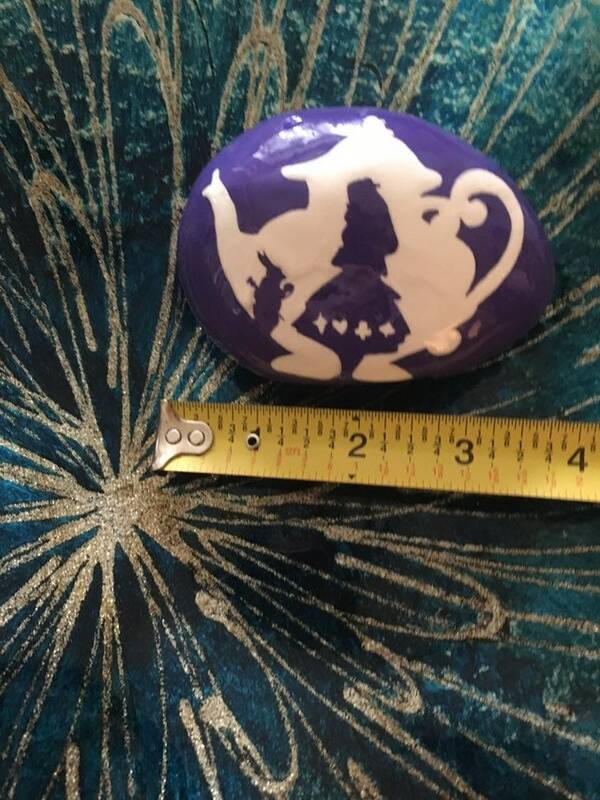 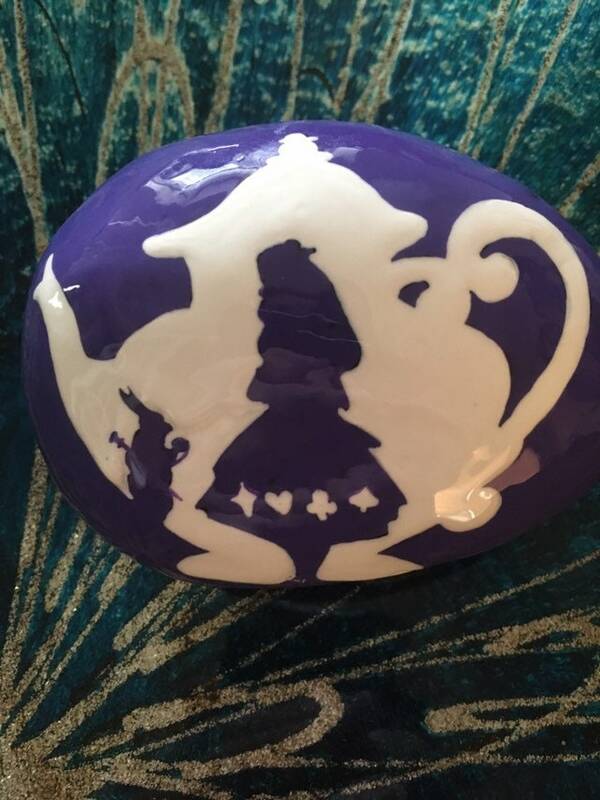 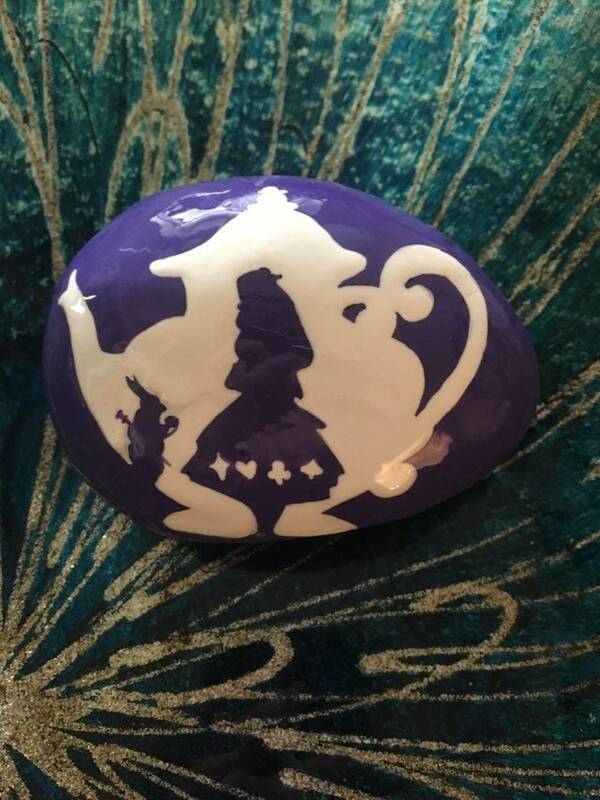 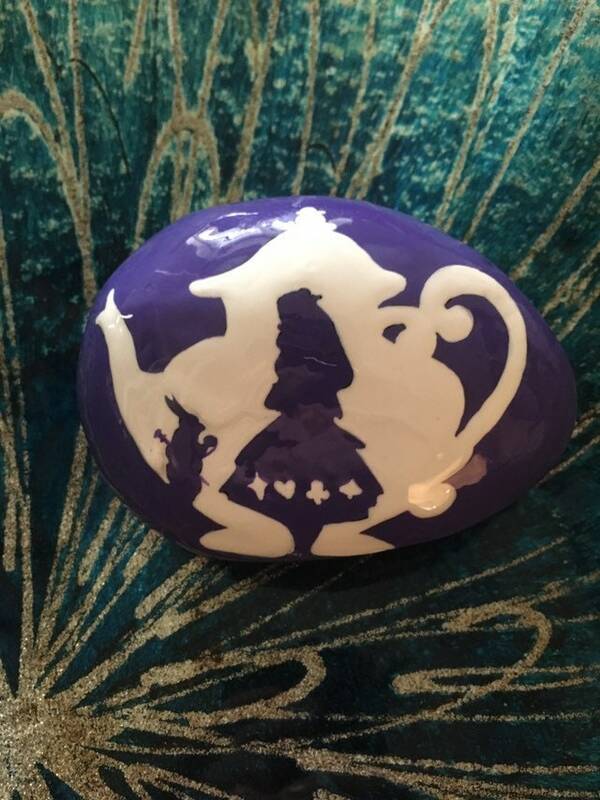 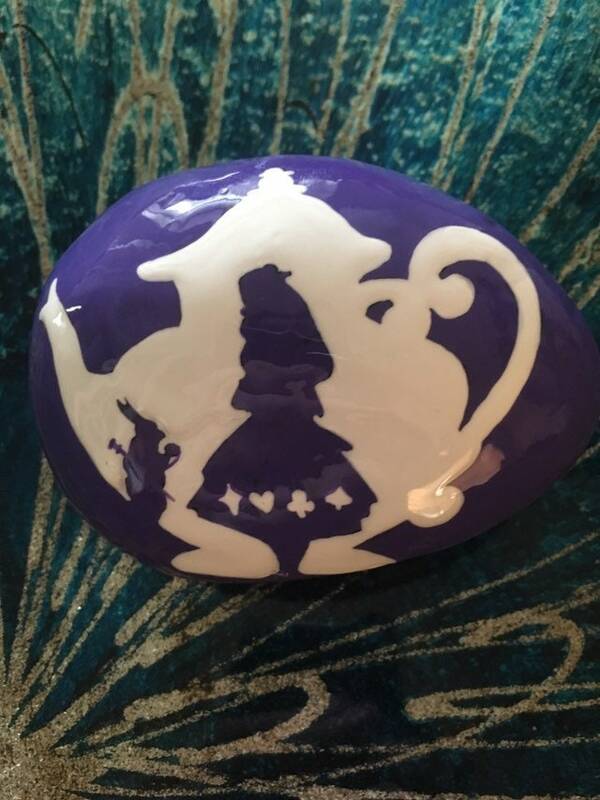 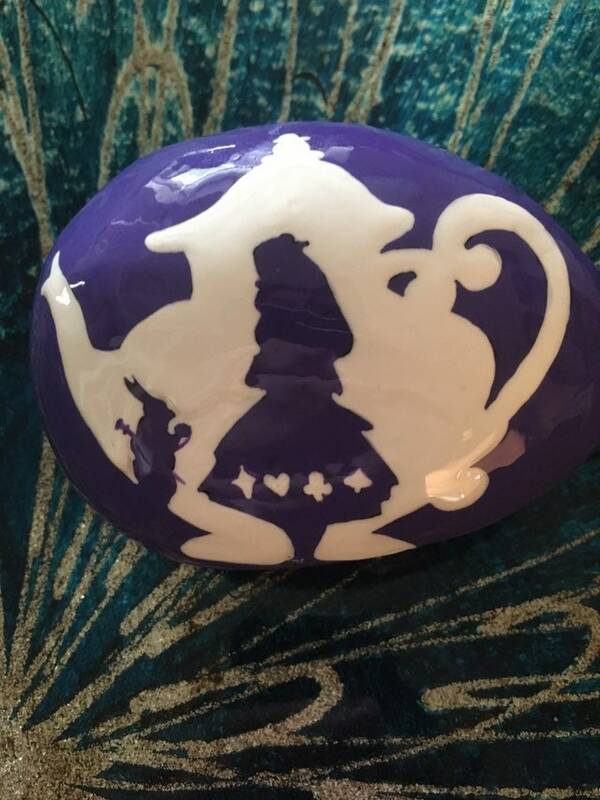 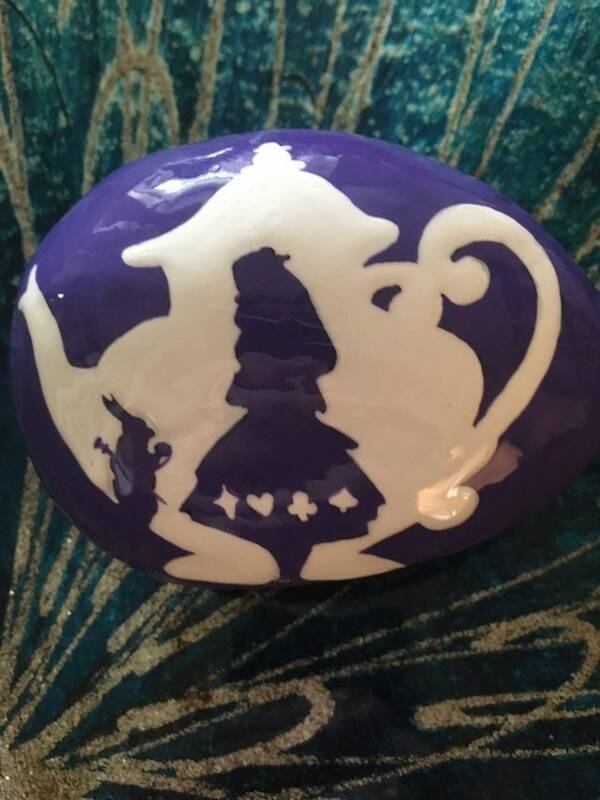 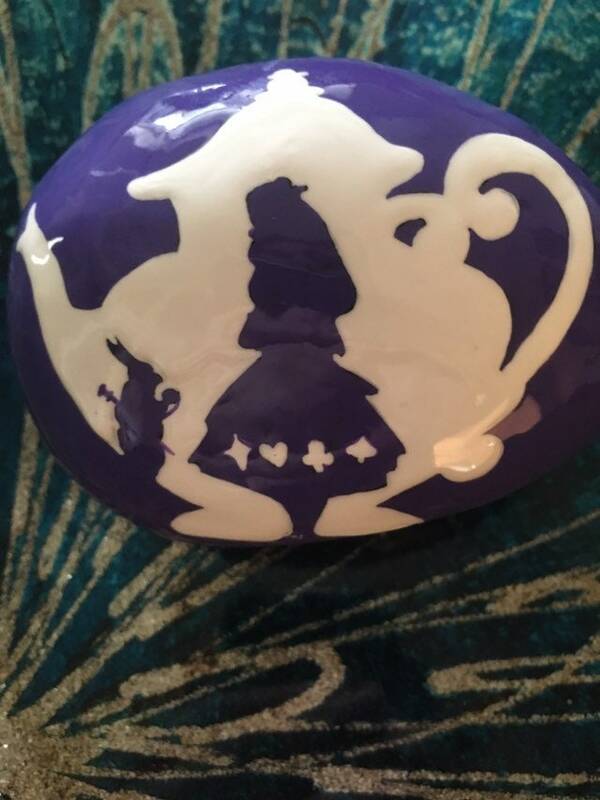 I thought this was a cute idea to showcase Alice in Wonderland. In the kettle, there’s Alice and the white rabbit silhouettes. 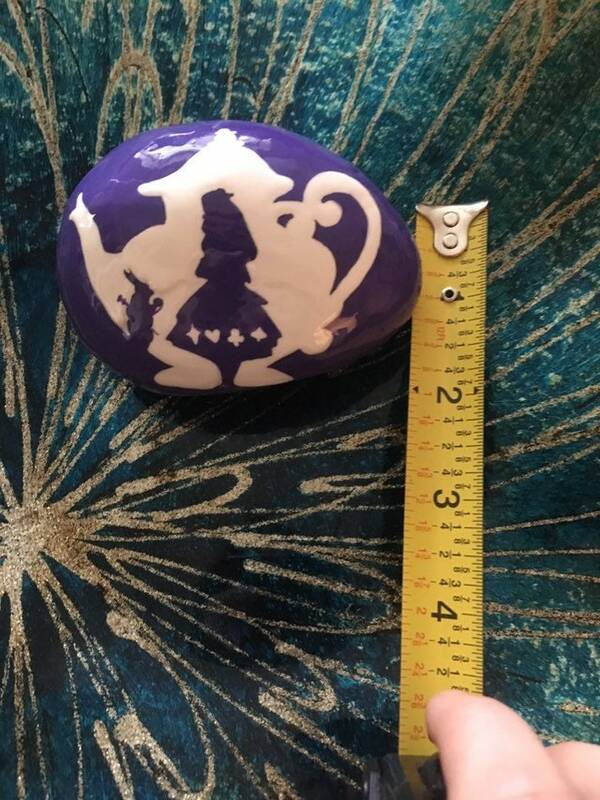 I included his cane and clock.